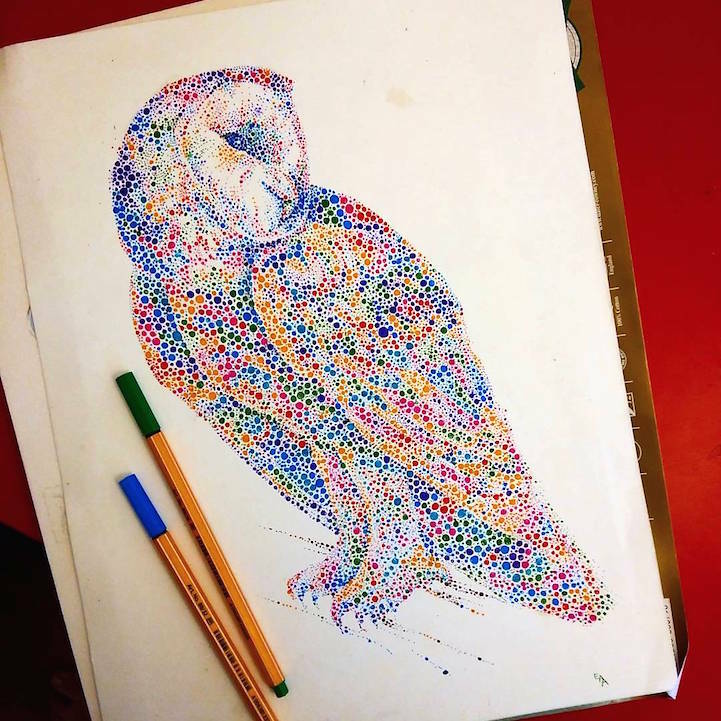 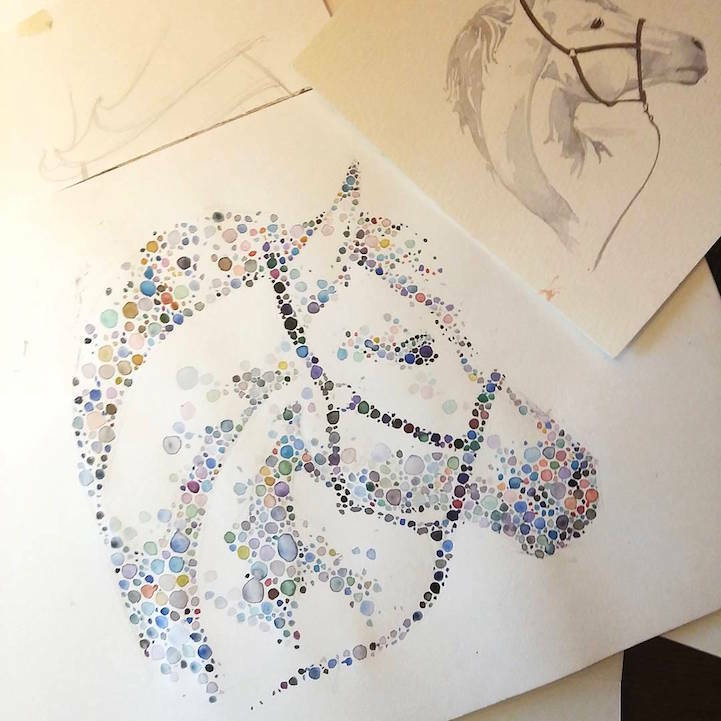 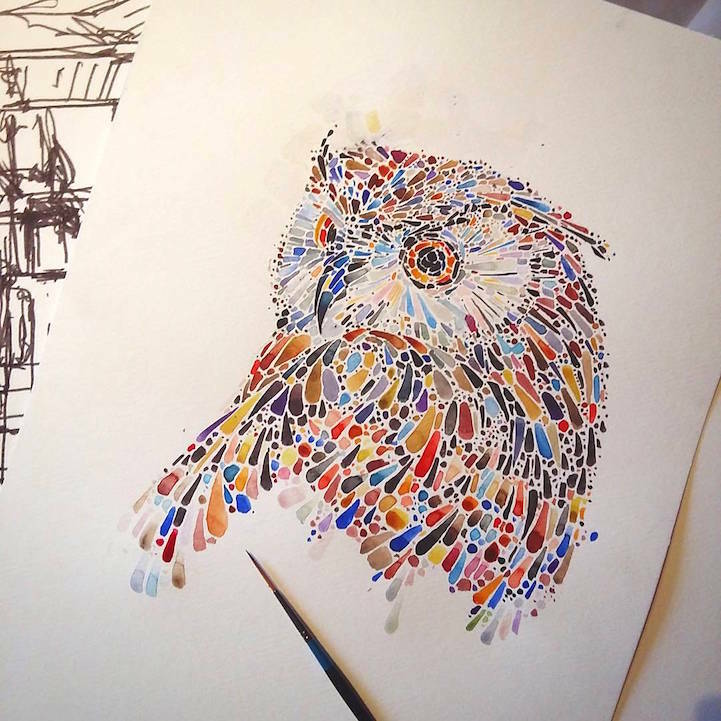 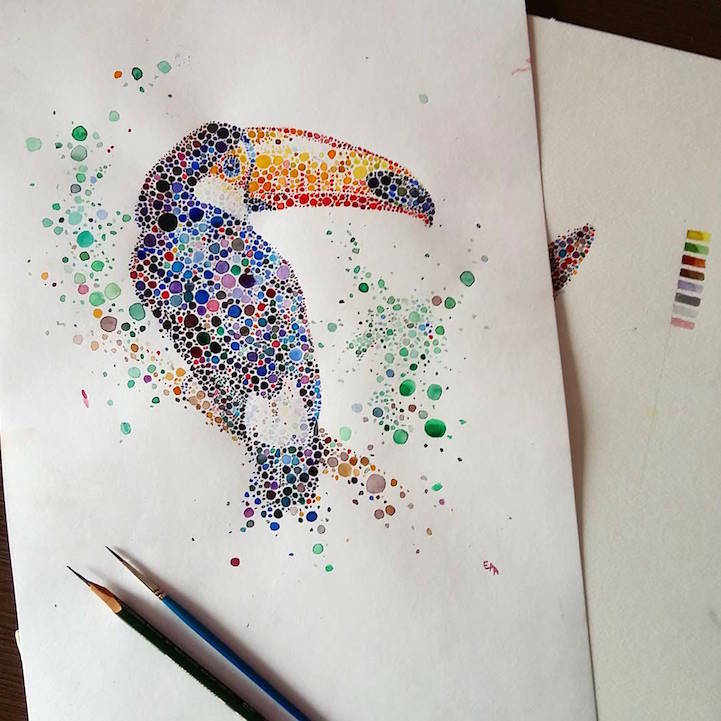 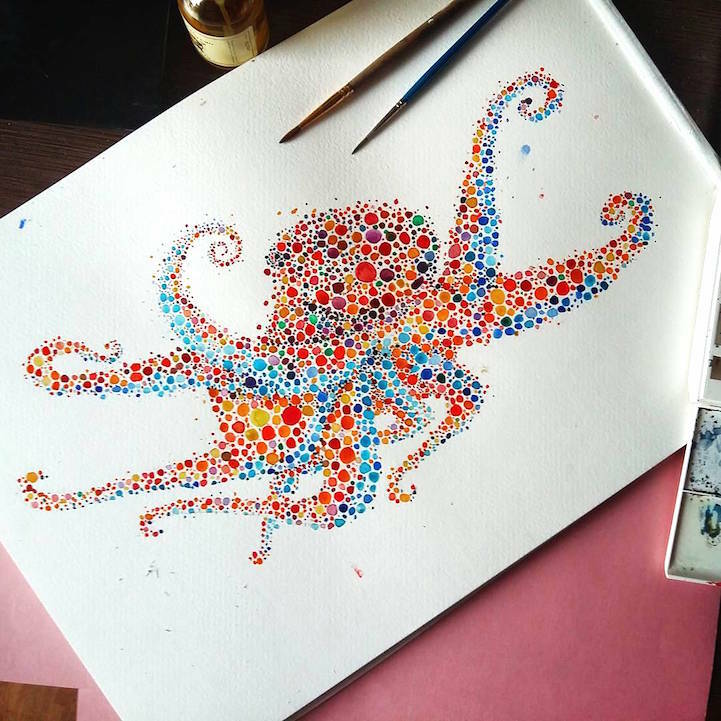 London-based artist Ana Enshina uses her creative eye to envision majestic animals as an abundance of multicolored spots. 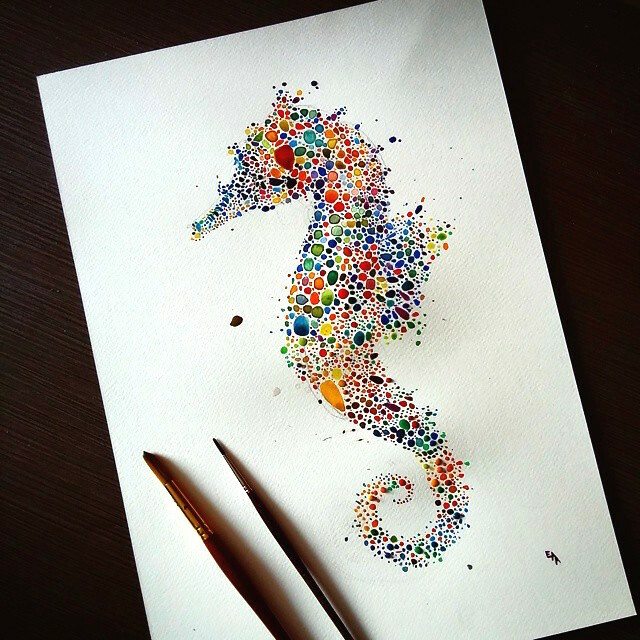 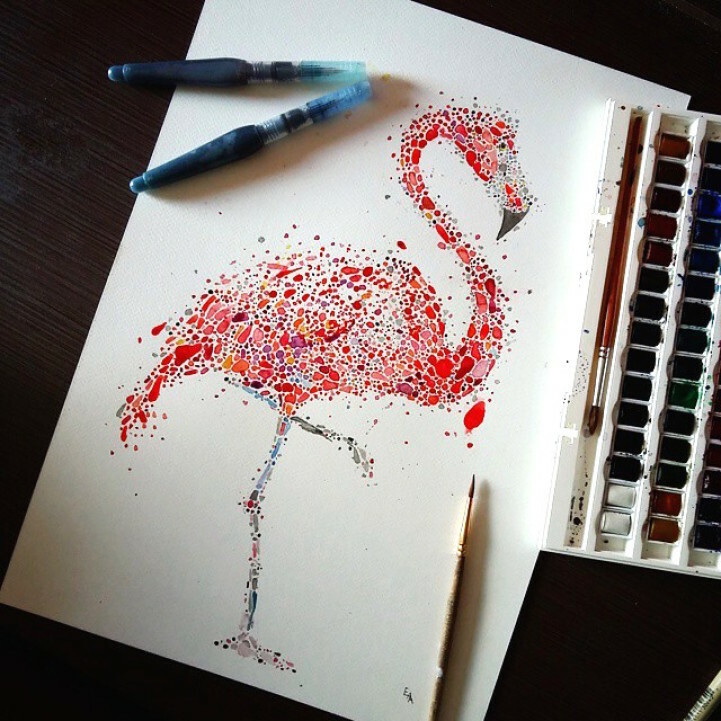 Dot by dot, the watercolorist forms diverse creatures including a statuesque, bright pink flamingo, a graceful whale suspended in the sea, and a distinguished peacock with a lovely array of feathers. 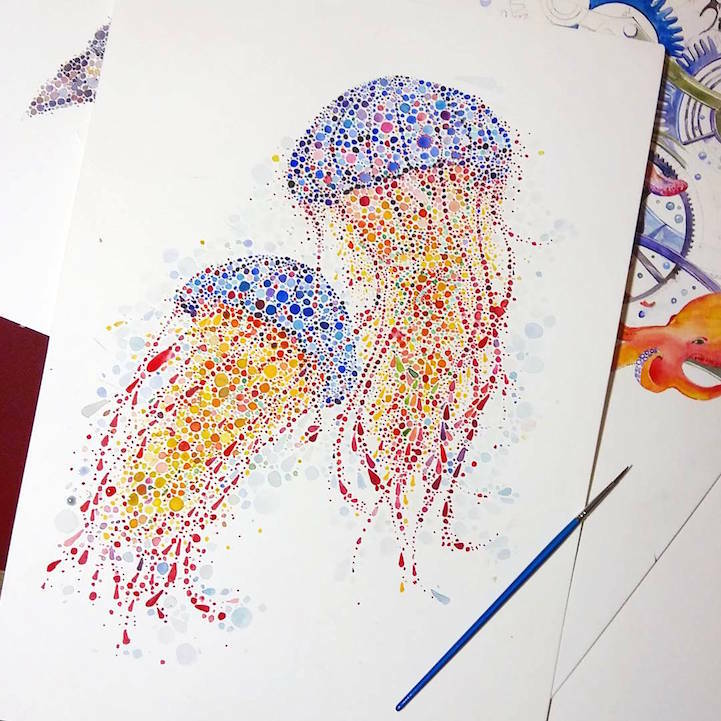 Whether she’s focusing on animals found on land or sea, the painter manages to capture each creature in a rainbow of brilliant and lively colors. 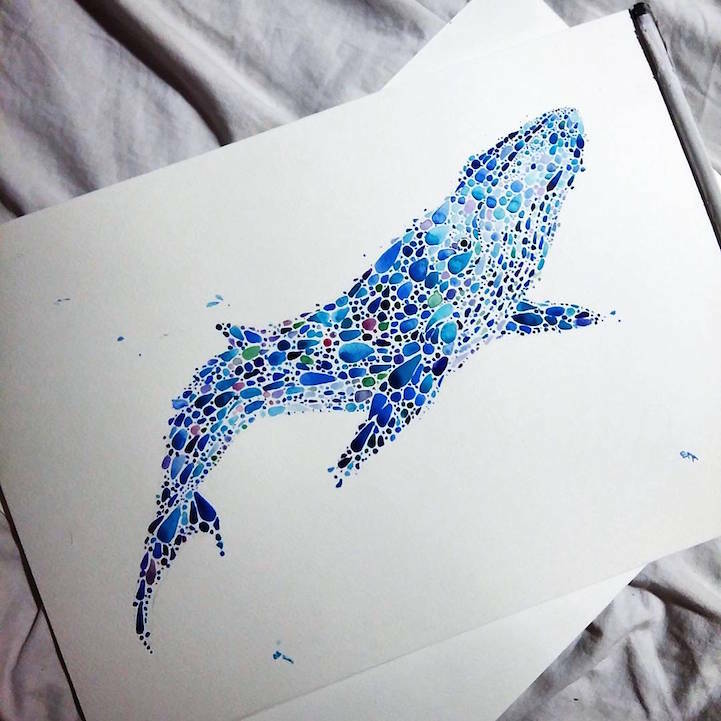 By utilizing different shapes and sizes for her dots, Enshina is able to incorporate a pronounced sense of whimsicality into her work. 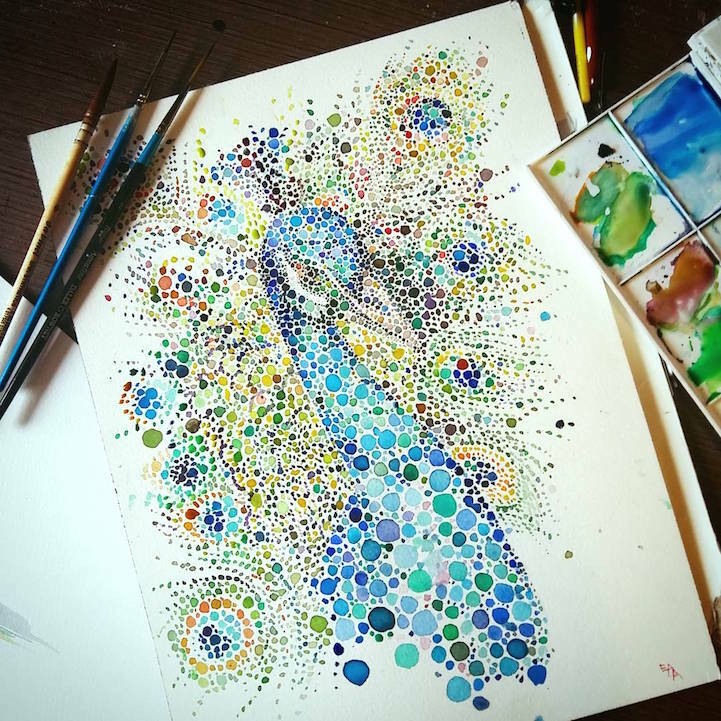 In turn, this playfulness helps to bring the artist’s subjects to life as they pop off the page in a succession of vivid hues and dotted forms.